4 time world champion and 9 times Brazilian champion is ranked #6 all time by the IBBJJF. He is also a UFC veteran with an extensive Judo background. He is one of only 2 people to ever be promoted from purple directly to black belt. He continues his prestigious career through his dedication to his students..
Ernesto Flores a tailored blue belt started his jujitsu adventure with TOny De SOuza and excelled due to of his extensive boxing background while in Peru. Ernesto started Fredson Paixao BJJ when he moved to the states and now assists with his private classes, beginner classes, and with the younger generation of BJJ students. .
Shawn Fitzsimmons 10yr veteran of mixxed martial arts shawn is also a brown belt under Fredson Paixao. Also has a extensive background in yoga and personal fitness. offer classes for adults and children in a state of the art facility. 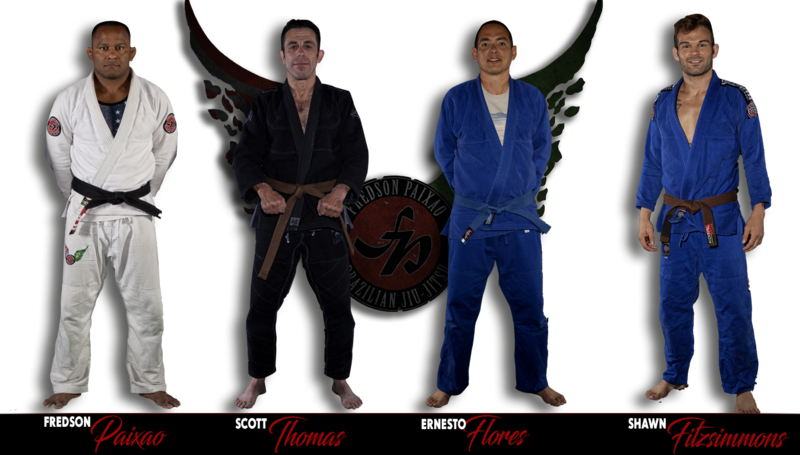 Our goal is to offer the highest level of Brazilian Jiu Jitsu in a fun, supportive, family environment. Our academy is perfect for beginners or seasoned practitioners a like. Come down and enjoy a free 3 day trial..